Home builder sentiment perked up noticeably this month. The Home Builders Sentiment Index, having drooped to the low 60s from the low 70s, spiked to 68 in August. This was a four-point increase over the July reading. A reading above 50 is considered positive. 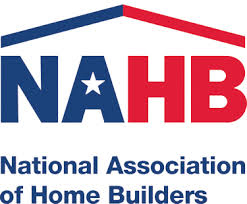 Home builders see an increase in immediate sales. They also see higher sales holding for the next six months. Traffic is the only area where builders are opaque. Traffic is frequently composed of young first-time buyers. Unfortunately, this demography continues to be locked out of the market because of high prices and low supply. Construction hasn’t quite kept pace with optimism. Housing starts fell in July, posting at 1.155 million on an annualized rate. When we dig a little deeper, though, we find most of the decline is confined to the multi-family segment. This is no surprise. The news has been replete lately with stories about declining apartment rents. Apartment and condo builders appear to have gotten ahead of themselves in many markets. As for single-family starts, they held steady at 856,000 units on an annualized rate. Year over year, single-family starts are up 11%. Home builders (and all home sellers, for that matter) continue to be supported by mortgage rates holding near 2017 lows. A bit of warbling occurred last week when North Korea’s leader Kim Jong Un (easily recognized by his whitewall haircut) threatened to lop a nuclear bomb in the direction of the United States. Kim Jong Un subsequently backed away from his threat, not that it was taken seriously by most Americans. Quotes on the 30-year fixed-rate loan continue to hover around 4%, where it has hovered for the past two months. Most quotes on other mortgage products continue to hover as they’ve hovered for the past two months as well. This leads us back to our mantra: Dips offer an opportunity to lock. Though the Federal Reserve raising the federal funds rate has had little impact on most mortgage rates, additional Fed action could up the pressure. Fed officials have become increasingly vocal on their desire to “normalize” the Fed’s balance sheet. Normalizing means no longer reinvesting maturing-security proceeds into new securities — Treasury securities and mortgage-backed securities. It could also mean actual security sales. Such action on part of the Fed would pressure longer-term interest rates to rise (because the selling would pressure bond prices to fall). Consumer-price inflation is the only hold-back. Fed officials wait for inflation to kick in before normalizing. They might not have to wait long. The minutes from the latest Fed meeting show a consensus forming that inflation is expected to pick up soon. Of course, Fed officials could be wrong, but we sense that many of them are eager to move interest rates to levels that comport with historical norms. In other words, this could be about as good as it gets on the mortgage-rate front for 2017 and beyond. Moderately Important. Purchase activity continues to point to muted existing-home-sales growth. Important. Sales are steady near the best levels of the expansion, though more discounting is occurring to move higher-priced homes. Important. Until the supply-demand imbalance is rectified, sales growth will be difficult to achieve. Yun is right; it’s not just that more new homes aren’t coming to market, the present low supply also keeps many existing homes off the market. When demand rises, as it has, and supply remains muted, prices must rise. This is economics 101. Prices will continue to rise as long as the dynamic holds. Many existing-home owners know this. They hold an appreciating asset, and one that is appreciating more than many other assets. This motivates many existing-home owners who would sell, not to sell. It motivates other existing-home owners that move to retain their home. They retain it and convert it to a rental. Until the perpetual-motion machine of relentless price appreciation ceases, we see little chance of a reprieve occurring.